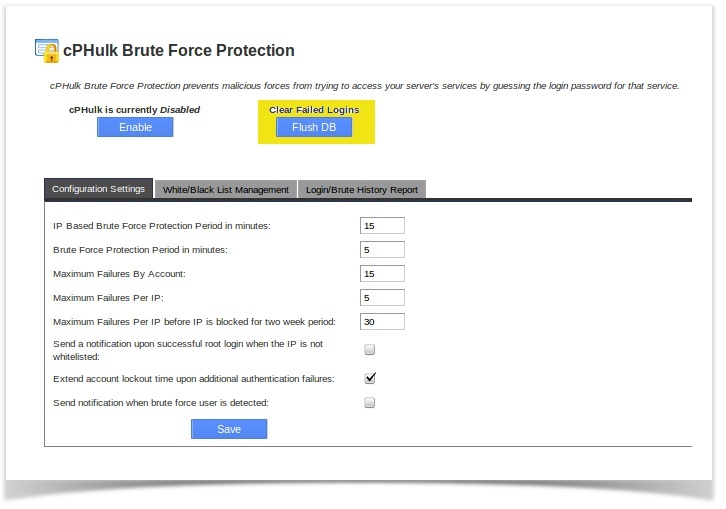 Published on: September 24, 2014 by Mithun S.
cPHulk is a brute force protection system. cPHulk blocks the IP addresses that have more than one invalid login attempt within a fixed time interval. We are here trying to explain how the cPHulk whitelist IP can be done. cPHulk stores all of its information in a database called cphulkd. There are two tables of interest: logins and brutes. 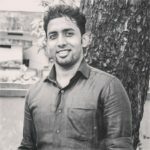 The logins table stores login authentication failures. The brutes table stores excessive authentication failures indicative of a brute force attack. 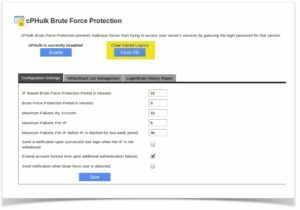 There are three possible ways to remove the IP from cPHulk Brute Force Protection. One way is to remove the IP block or whitelist IP through WHM. The second way is by removing a particular IP blocked by cPHulk from its database manually. In the same way you can delete the IPs from the ‘logins’ table.